Website design Wake Forest NC | TTI is a responsive, mobile ready technology Word Press website design for a technology company based in Wake Forest, NC. The TTI website scales to any size screen for full screen viewing at trade shows and events. 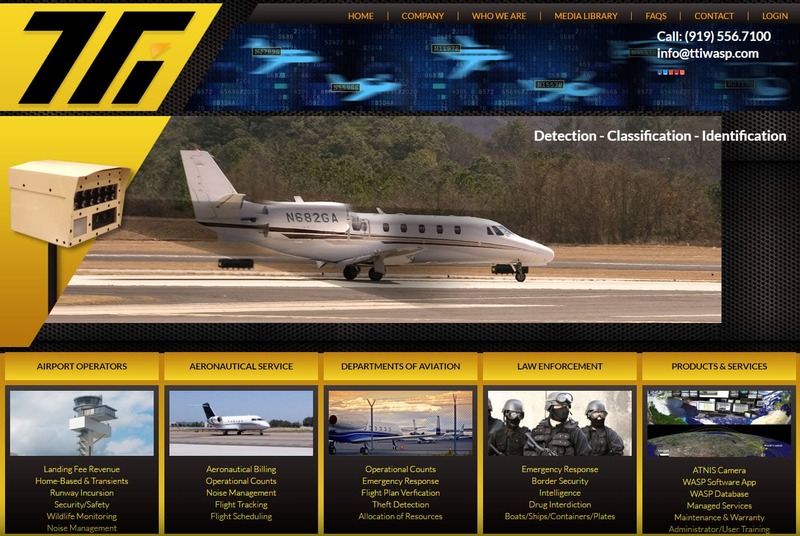 The primary areas of the website for Airport Operators, Aeronautical Services, Departments of Aviation, Law Enforcement and Products and Services contain photos and links to all interior pages. This technique allows visitors to quickly access website information without having to use drop down navigation or suffer the hassle of clicking 2 or 3 times to find the desired information. When searching ‘Website design Wake Forest NC’ look no further than the web design experts at VISIONEFX for all of your website needs.